Pa. Turnpike Travelers Reminded of Jan. 2, 2011 Toll Increase E-ZPass incentives offered; toll schedules temporarily gone from toll tickets. Construction of $72 million junction began in June, 2008 as part of Uniontown to Brownsville Project. 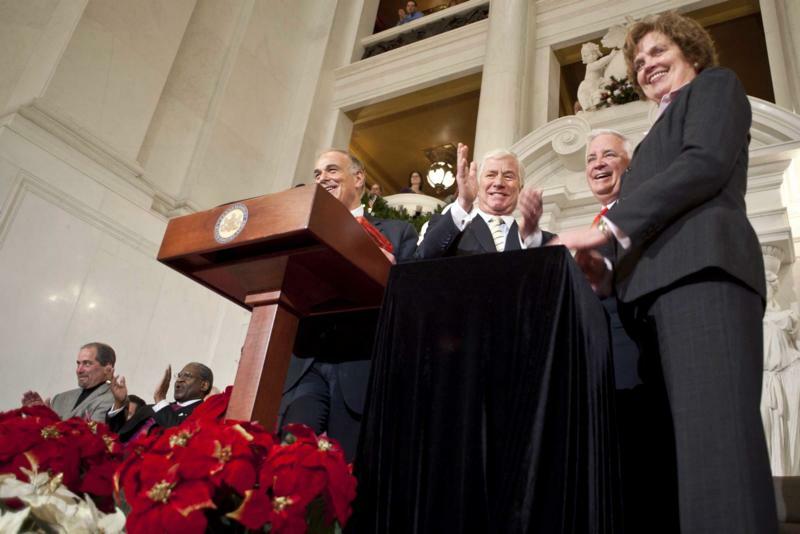 Governor Edward G. Rendell, Chilean Minister of Defense Jaime Ravinet, Governor-elect Tom Corbett and First Lady Susan Corbett happily look on as the Christmas tree lights in the capitol Rotunda. Governor Edward G. Rendell tries his luck with a Pennsylvania Lottery instant game purchased at a Wawa in Philadelphia as Wally Goose, the Wawa mascot, looks on. 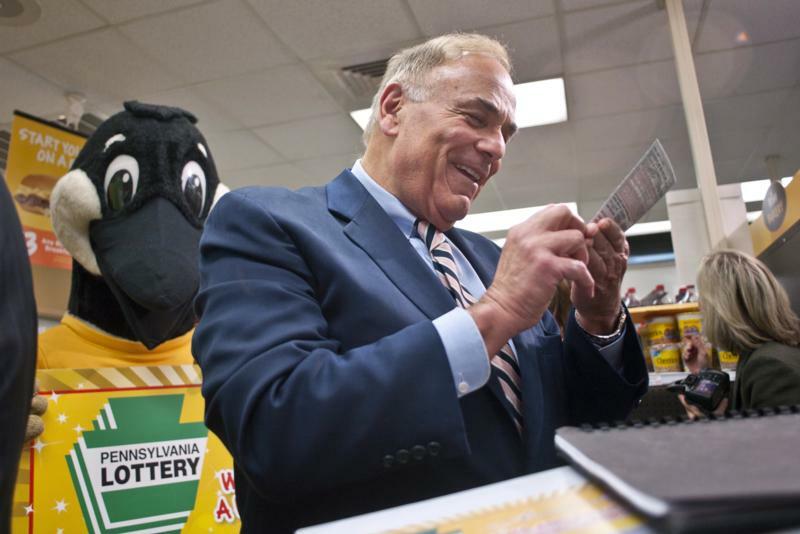 Governor Rendell today announced that Lottery tickets will be available soon at all Pennsylvania Wawa locations. Eastbound on/off ramps will link Interstate 276 and State Route 132 (Street Road). How the stimulus money is being spent in PA! Pennsylvania's statewide unemployment rate1 fell to 8.8 percent in October as the economy added 15,900 non-farm jobs. 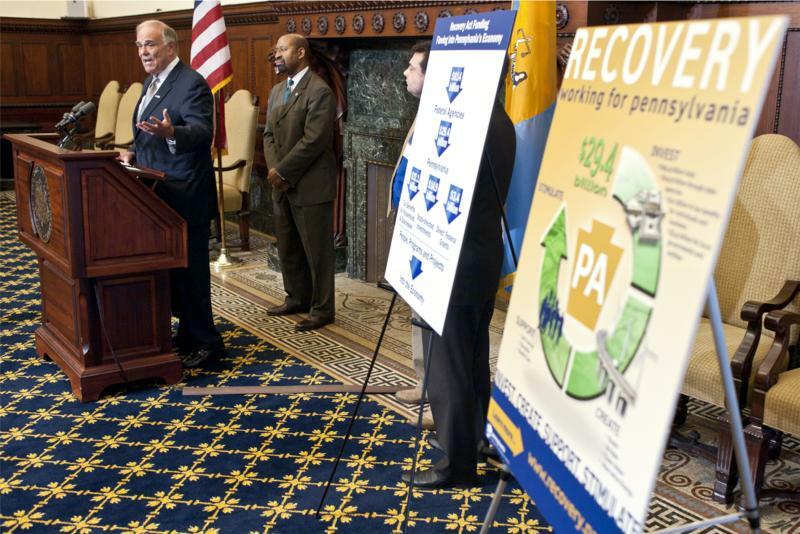 Governor Edward G.Rendell, joined by Philadelphia Mayor Michael A. Nutter, announced today that federal stimulus money has paid for the weatherization of more than 15,000 homes across Pennsylvania and provided jobs for approximately 1,800 people in weatherization projects.